What should I wear during my winter trip in Japan? 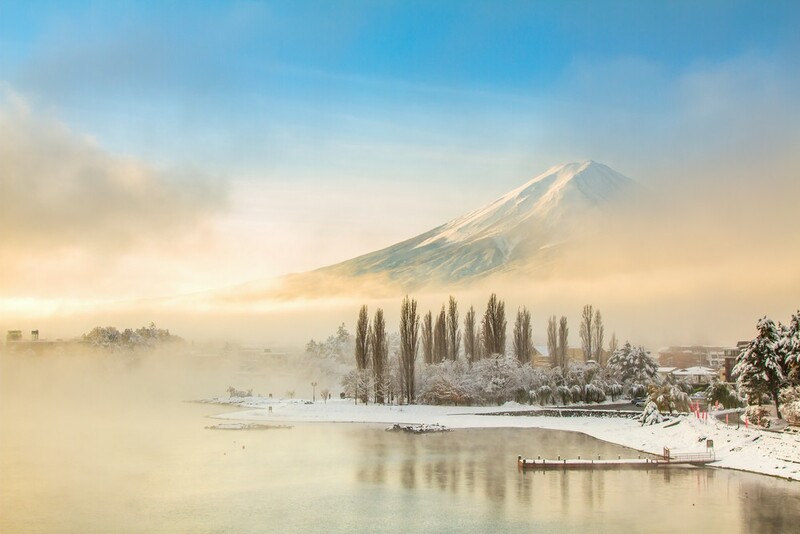 “Winter” is the longest and most severe season in Japan among the four seasons. December, when the season changes from autumn to winter, is a season which various spectacular sceneries such as snow scenery and illumination lighting scenery can be seen throughout Japan. There are many snowy regions in winter season in Japan, and today we are going to introduce the winter clothes for those who visit Japan during winter. When is the period of winter in Japan? Generally, winter in Japan is about three months from December to February of the following year. December is the month when you can enjoy events such as Christmas and Illumination lighting, etc. The average temperature in December is about 10 degrees, therefore you will need to wear your coat. You will feel warm during day time when it is in fine weather, however you will need a glove and scarf as it is getting cold at night. Woman: Usually I will wear a sweater or knit. Knit is the most popular item during winter. Basically any color will suit you, but I will recommend Pastel color which has winter feel. For outer wear normally I will wear a coat of popular beige or gray color. If you prefer to wear a skirt, it is recommended to wear tights to keep your leg warm. The tights which sold in Japan have various colors but I would recommend black or dark blue which are the winter feel colors! Man: Since there is sunlight during daytime in December, you won’t feel too cold or too hot by wearing a Parker. 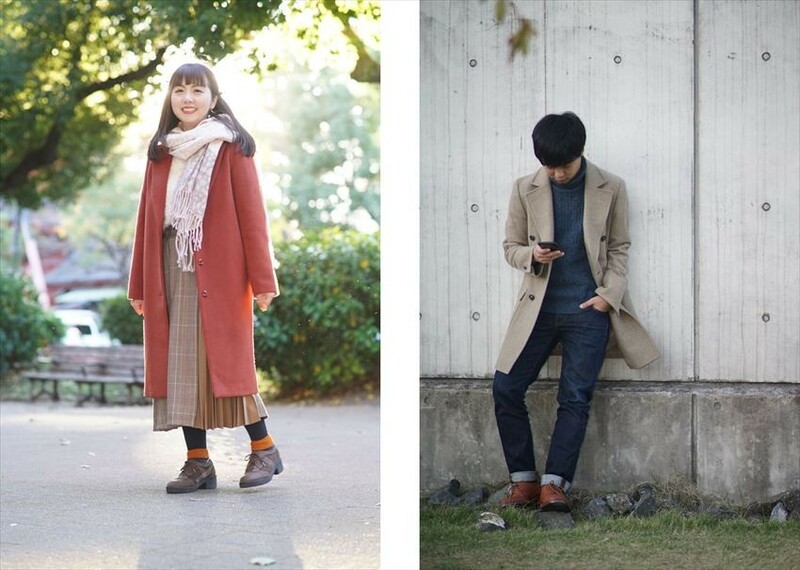 The recommended color during winter will be gray color. Since the weather is cooler during morning and night, it is recommended for you to get ready with a flight jacket. The classic color of the jacket is khaki, navy, and black color. Among them, khaki is the more masculine color with the strong impression of military color. The coldness get stronger especially in the period from January to February. The temperature in January is still one digit during the day time. Since sometimes the temperature goes down until 0 degree in the morning and night time, it is better to get an inner self-heating wear(such as UNIQLO's HEATTECH) or down jacket to warm your body. Woman: During the day when the wind is strong or snowy day, you will need an inner self-heating wear or knit, and a down jacket as an outer wear. The classic color of the down jacket is black, but it will be more fashionable with a dark blue coat and black boots. Man: In Japan, it is warm in indoor during winter since there is the heater is working. 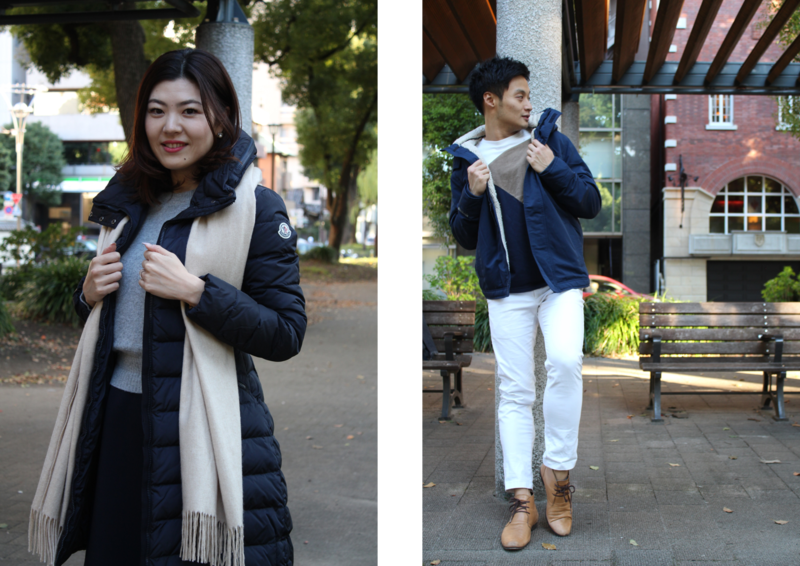 We will recommend you to wear a long thick T-shirt as inner wear, while wear another down jacket as outer wear when you are outside. 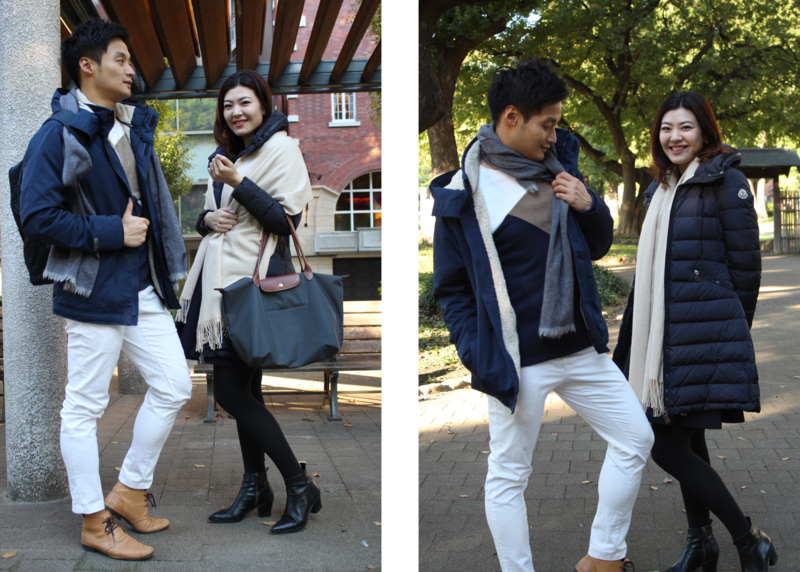 It will show that you are gorgeous by matching white jeans with the navy color down jacket. It is still cold in February in Japan. If you are spending long hours in the outdoor, we recommend you to keep your feet warm properly, and prepare some sticking and disposable kairo (heat pack) when going out. Woman: February has the feeling of spring, usually I will wear a light colored coat to have the spring feeling. A muffler will be a necessary item for you when going out. Besides, it is recommended for you to wear a long skirts or tights/boots to keep warm yourself from the cold weather. Man: Usually I will wear an inner self-heating wear or knitted clothes as inner, and coat as outer wear. It would be better to bring along another woven fabric item when you are going outside. The popular coat for men is coat of caramel color because this color gives the soft and gentle impression of the man. 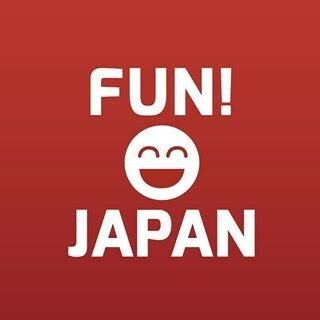 Although it is cold during winter in Japan, but actually there are lots of unique fun during winter. Let’s traveling around with proper anti-cold countermeasure!